Q&A Northern Territory Strata Levies - How much are body corporate fees? The following Q&A about Northern Territory strata levies has been contributed to by Rob Harris, Director, NT Property Management trading as Ace Body Corporate Management (Darwin NT). 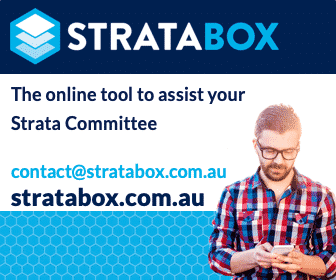 Question: I’m looking to purchase an apartment in a Northern Territory strata scheme. Who sets the body corporate fees? Why is there such a variation between lots? Who sets the body corporate fees in a block of units? Are they determined by the number of units and/or apartment owners? I have made inquiry into purchasing a Unit and have asked for the body corporate fees. Why is there such a variation? Answer: The sinking budgets can vary enormously from building to building dependent on the owner’s views towards long term maintenance such as painting programs, accrual of funds for long term plant replacement such as elevators, pools etc. Body Corporate fees are set at each Annual General meeting by the members present. In the case of a Body Corporate that is managed by a Body Corporate Manager, we would prepare a budget and present this to the members for approval. There are two budgets, administration and sinking. In other words, any common property maintenance / administration fees. When the budget is agreed, the owners then agree on the amount of levies that need to be raised and we usually suggest a small buffer to cover unexpected expenses. The sinking budgets can vary enormously from building to building dependent on the owner’s views towards long term maintenance such as painting programs, accrual of funds for long term plant replacement such as elevators, pools etc. Some Body Corporates have sinking funds in ‘the thousands’ and some have zero – it is entirely up to the owners to make the final decision although as Managers we strongly recommend that something is in place for long term maintenance. Lastly, when the budget has been approved, it is then divided up by ‘lot liability’. For example, in a block of 50 units, some may be bigger (two bedrooms versus one bedroom). This is set by the surveyor when the original plan is submitted for development and the Owners Corporation Act states that this is the method that must be used to share expenditure. WA: Q&A Charging interest on overdue strata levies. Is there a formula? The photo associated with this post has been supplied by Flickr: Gary Bembridge – Darwin Northern Territory Australia. Have a question about northern territory strata or something to add to the article? Leave a comment below.